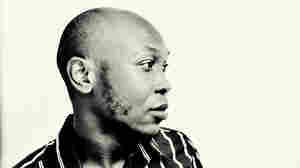 March 4, 2018  As the son of Afrobeat icon Fela Kuti, Seun Kuti carries a torch for infectious grooves and political songwriting. He speaks with NPR's Renee Montagne. December 8, 2014  Fifty albums for a heavier-than-average year, selected by NPR Music's staff and member station partners. These are the albums we held close in 2014 and the ones we want to share. May 18, 2014  Fela Kuti's youngest son brings the fury, funk and sweat of Afrobeat to bear down on financial corruption and other issues. Along the way, he finds grace, humor and plenty of good beats. Audio for First Listens is no longer available after the album's release. December 29, 2008  This has been a strong year for African music, with two big trends emerging: the continuing integration of African music into the U.S. and European mainstream, as well as the ongoing unearthing of treasures from Afropop's "golden era," particularly the '70s. 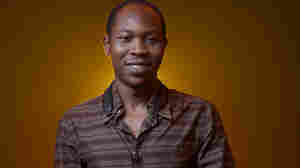 July 22, 2008  Fela Kuti fathered the musical movement Afrobeat and its crown prince, 25-year-old Seun Kuti. The Nigerian singer is leading his father's band, Egypt 80. On his self-titled debut album, he's added some American influences but kept his songs sharply pointed and political. 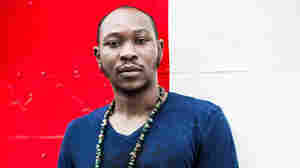 July 16, 2011  Now 28, the youngest son of Afrobeat pioneer Fela Kuti is still leading the band he inherited from his father when he was just 14. 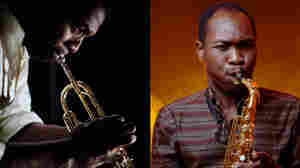 July 5, 2011  The oldest and youngest sons of Afrobeat pioneer Fela Kuti have both released new albums. 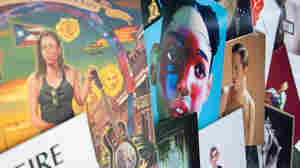 Each strikes its own balance between individual expression and Afrobeat orthodoxy.